Product code: P457cc Categories: Sold Items, Sold Rolex Watches. 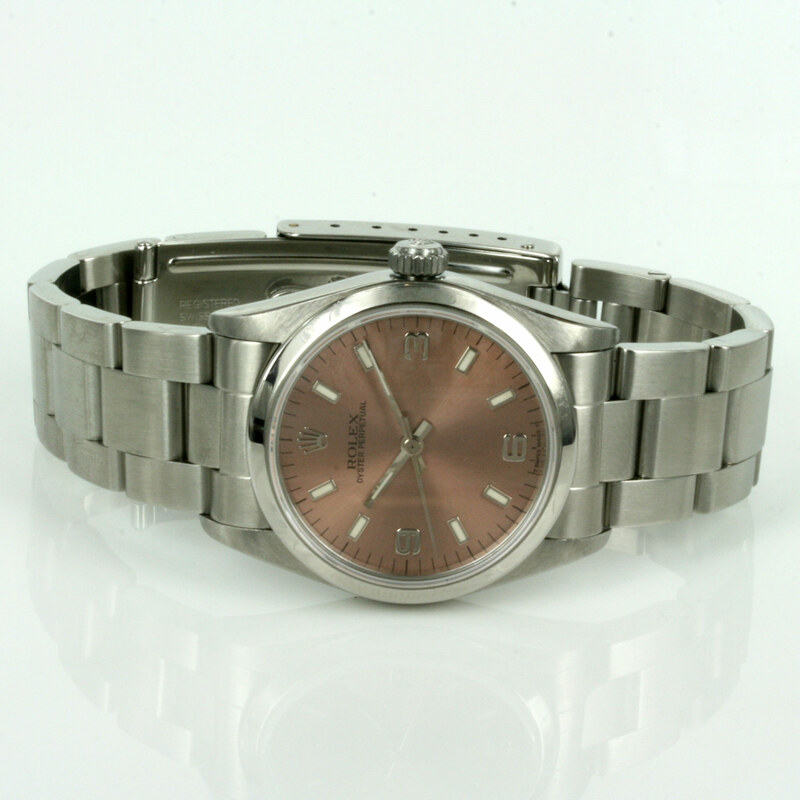 What a magnificent looking mid-size Rolex Oyster Perpetual watch with the salmon pink coloured dial. 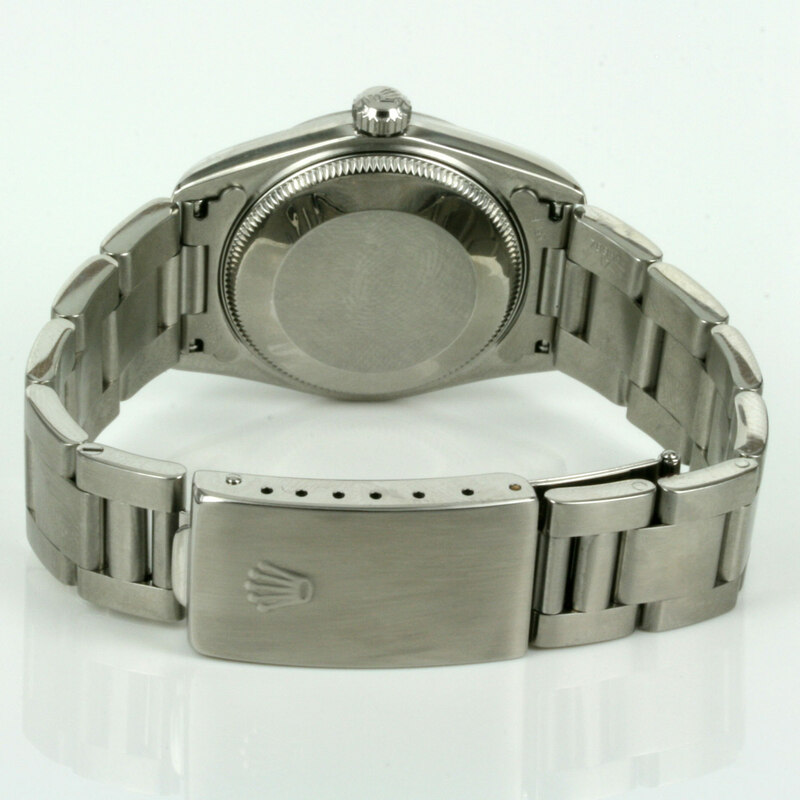 This is the Rolex model 67480 in the mid-size stainless steel Rolex case which measures 30mm across plus the Rolex screw down crown. Making this Rolex Oyster watch even more attractive is the combination of indicators and the 3,6 and 9 numerals. Two other attractive features of this Rolex is the polished smooth bezel and no date, both of which give this Rolex a very nice and clean look about it which is further enhanced by the Rolex Oyster band which itself is in excellent condition. Protected by a sapphire crystal and with the fully jewelled automatic movement running perfect, this mid-size stainless steel Rolex watch looks absolutely sensational and will always be admired and loved.